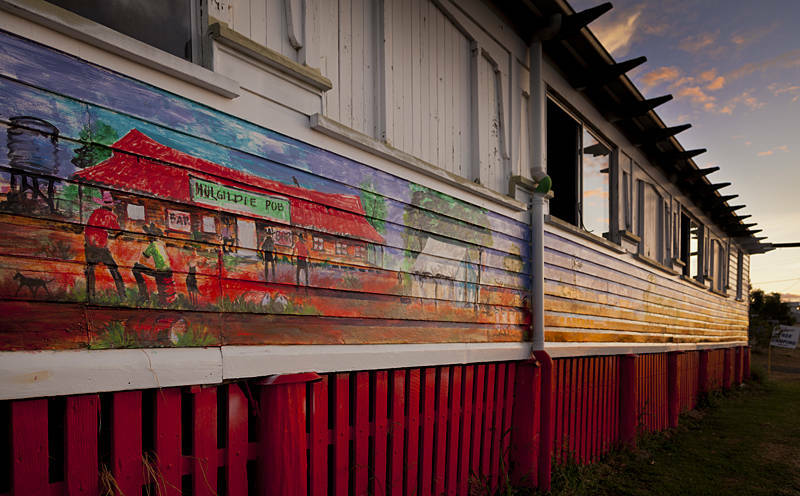 Tonight we are staying outside the Mulgildie Pub in Queensland. I am starting to notice a trend developing in Karen’s choice of campsite. I can hardly complain as pubs in Australia have everything a traveller on the road could need. This one arrived on the back of a train from Gayndah in 1927.